This time trying the guide mesh procedure. 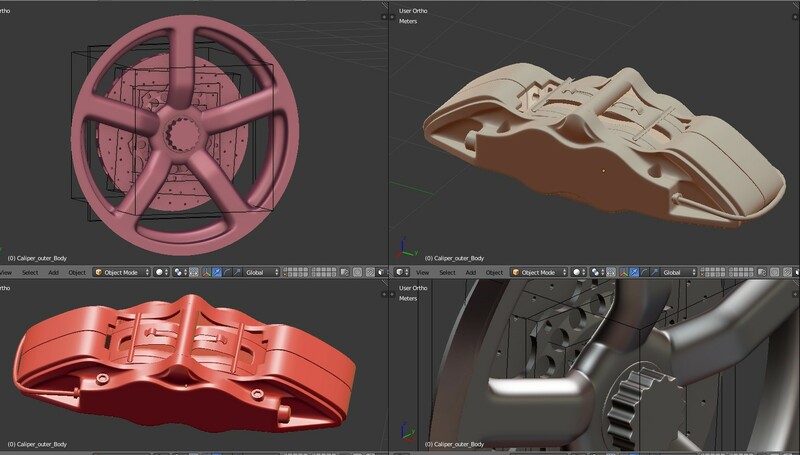 Is modeling this asymmetric wheel tread pattern possible? I only found this view for the treads. The one on the far left? I am having trouble reading the pattern. 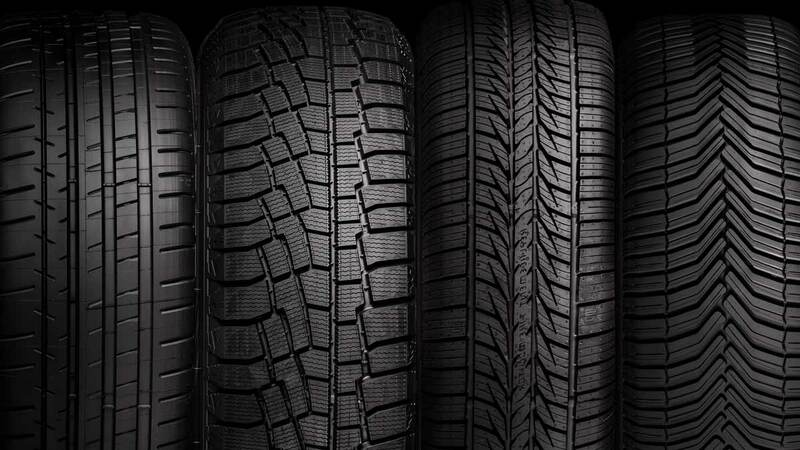 [Treads] As you can see, there is irregular gaps between the tread pattern as shown by the different circles here: [Tire_reads_persp] The car in question is Koenigsegg one. What do you mean by “guide mesh procedure”? p.s. Those brakes look awesome. 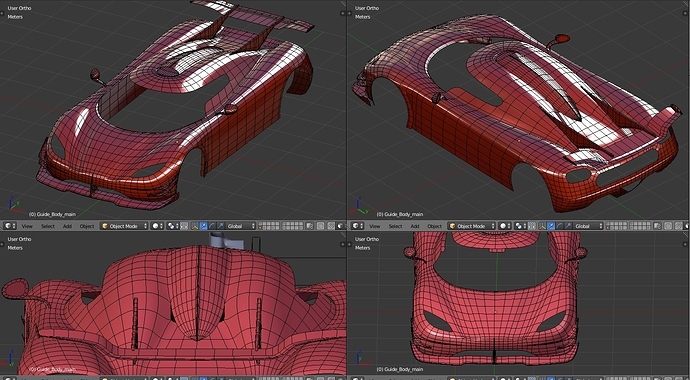 Basically, you create a guide mesh for an object, and then you use the shrinkwrap modifier to put pieces on top of it. 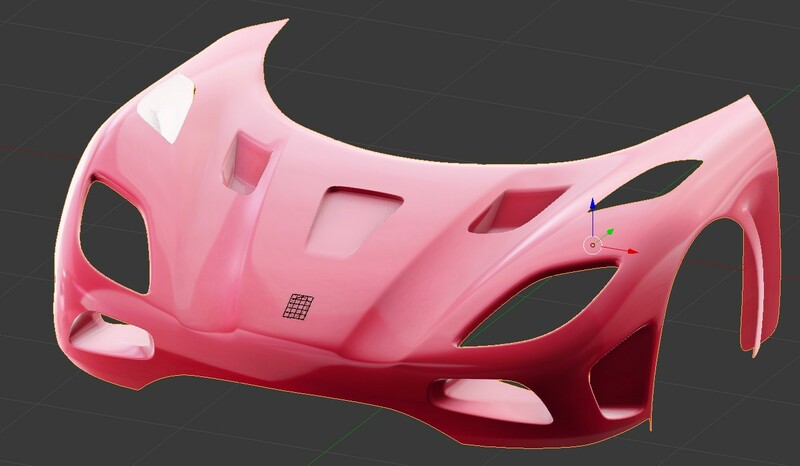 This gets rid of pinching with curved surfaces and smooth transition of reflections. you can also get away with triangles. That’s what I thought you were doing, but I was confused by headlights and other holes in your red mesh. I guess that’s the shrink wrapped mesh and not your guide mesh. I am only employing the technique where it is needed. So I didn’t model the extra geometry. 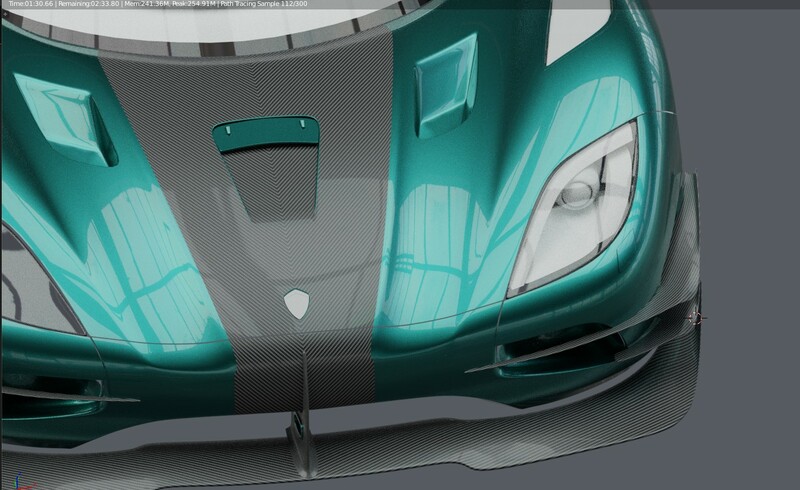 I did fill the front headlights though. The red and blue mesh shown above is the guide mesh. 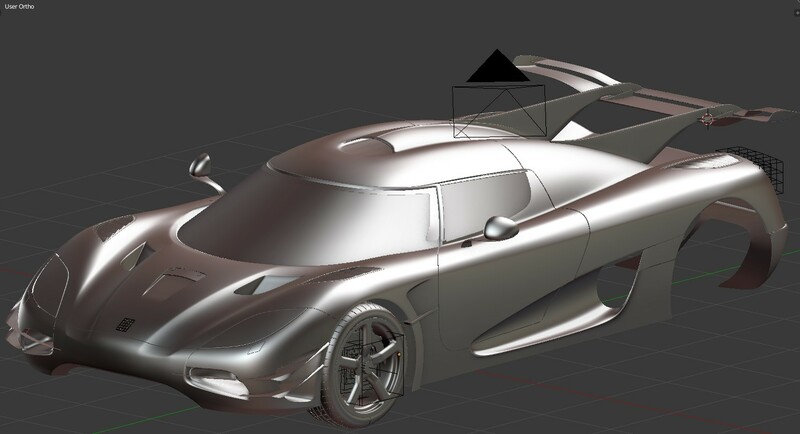 Nice to see you modeling another exotic car. 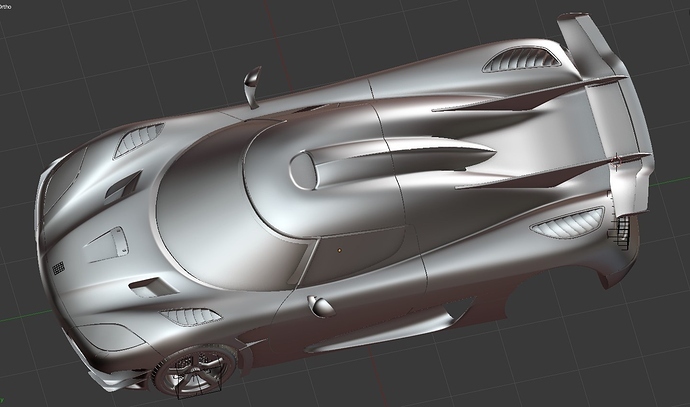 I want to start modeling exotic cars but I have to focus on finishing my animation first. I wish you the best of luck. Thank you, MAC2001. The progress has been slow. Subsurf technique is really handy. But it is really tricky. It’s looks very smooth and accurate. 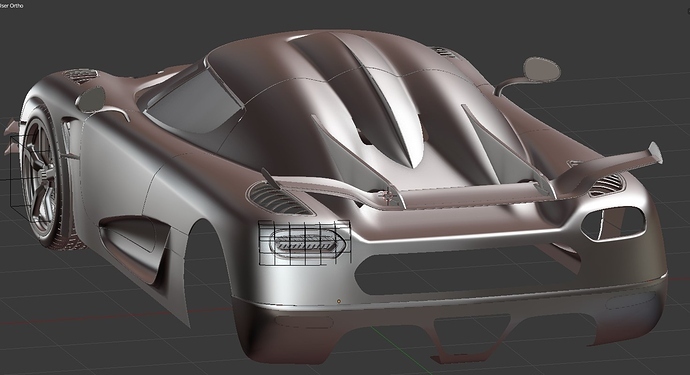 Not sure if I should continue with the carbon fiber material. I am unwraping the area that needs the carbon material. Or should I simply put a vinyl on top of it? Thanks! I hope it turns out better than Huracan. Unfortunately, this car doesn’t have good reference pics like other exotic cars, so I am just eyeballing much of the stuff. 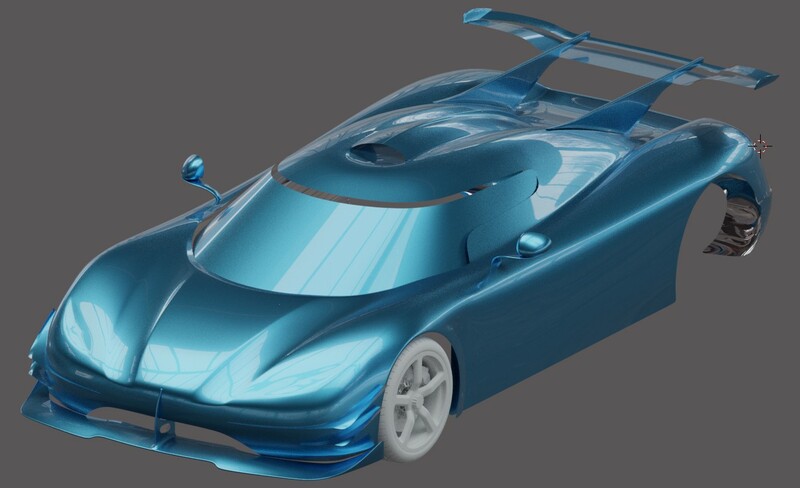 Very promising project indeed, never knew about this shrinkwrap technique was actually used in car modelling too, so thanks for the tips especially as I am working now on fictional/concept car project, but I guess it’s too late applying it now. the problem sometimes is when you want to tighten some corners, it cause me headache every time reorganizing my mesh so I can bevel without ruining the surface smoothness.